Kayu-koji― Koji(小路) is a Japanese word for an alley and Kayu(花遊) means to play with flowers in Japanese Kanji character. It sounds elegant, doesn’t it? 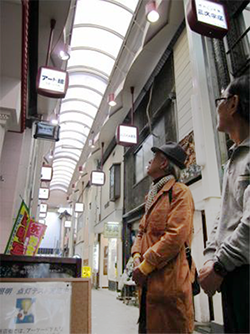 This alley was built in the Taisho era (1912-1926) and named after “Kayu-ken”, a Buddhism-style vegetarian restaurant. There used to be trendy Kimono shops around here. 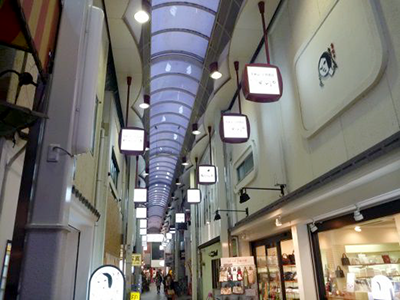 The affluent, Geisha and Maiko used to come here and enjoy shopping. These days you can feel rather relaxed ambiance here, getting away from the crowd on broader streets. You’ll find lovely small shops and restaurants. You also can get easy access to the Internet for free thanks to Wi-Fi here. 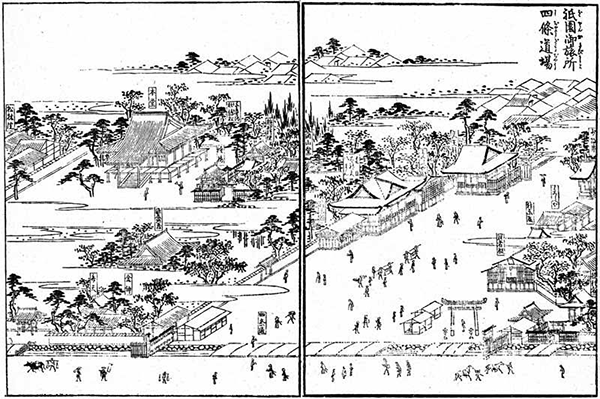 Many Buddhism temples in Kyoto were relocated to this area in accordance with city planning in the late 16th century. 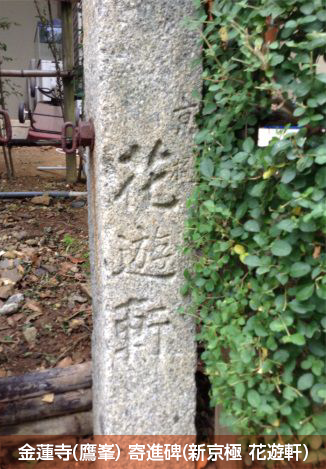 Kayu-koji alley was part of Konren-ji-temple’s precincts back then. Konren-ji-temple moved out to the northwest area of Kyoto city later, but its sub-temple Somedono-in still remains near Kayu-koji alley. In the middle of the Edo period (1603-1867), these temples were burned down several times due to fires and they had to deal with financial difficulties. 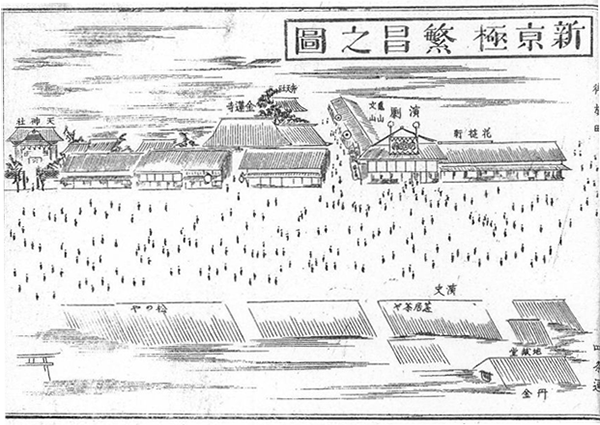 They started to set up small theaters on their premises and tried to make profits from them. This area has become an entertainment district since then. In the early 18th century, famous Samurai Ōishi Yoshio (Kuranosuke) stayed at a sub-temple of Konren-ji-temple called Bairin-an right before he took revenge which was used as a base for Chūshingura story. He was described as an excellent leader in it. 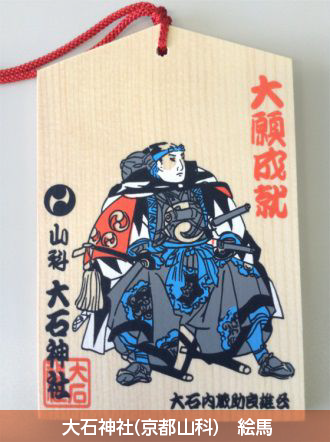 He avenged his master’s Seppuku (ritual suicide as punishment) with other Samurai at the risk of losing their own lives. He carefully planned and successfully completed it. Because of his loyalty he is still loved by many Japanese people. 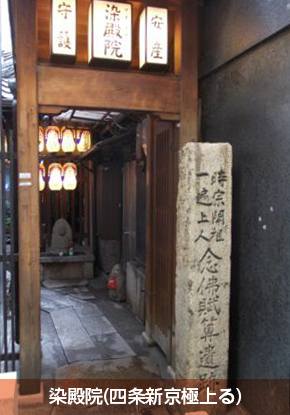 Kayu-koji alley was built on the ground where Barin-an was located. Then small shops started to open there.